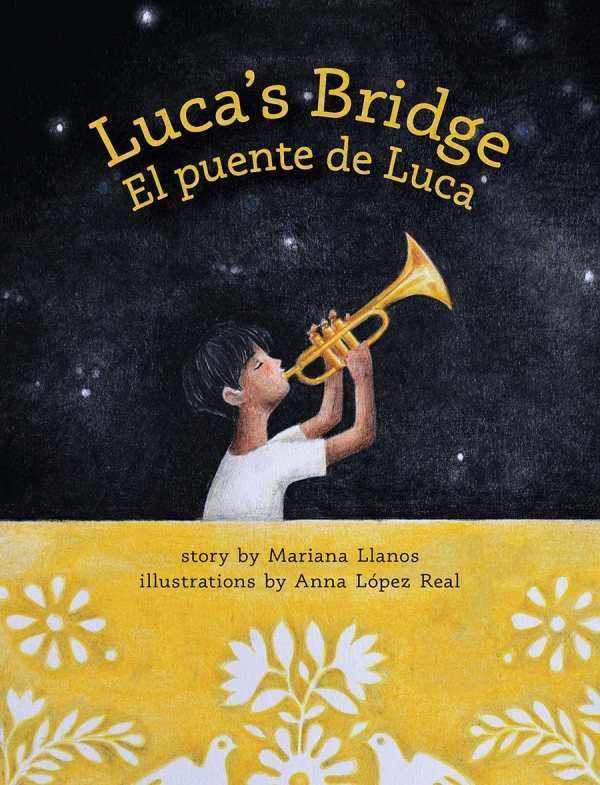 Told in alternating English and Spanish, El puente de Luca is the timely tale of a family’s resiliency, strength, and devotion as they are voluntarily deported from the United States to Mexico. Emotions run high as Luca struggles to understand why he must leave his home and everything he’s ever known. Surreal images in shades of gray with golden accents surround Luca as he finds solace in his dreams and the music of his trumpet.